Painting is seen as a way to relax and empty your mind as you merrily wash great swathes of colour over a canvas. But the reality is, it takes real concentration, planning and broaches a whole new set of visual problems. Because when you make decisions and solve problems of any kind, whether its work, organizing a holiday, choosing what to wear or designing a painting, you use an area of your brain called your prefrontal cortex. It can’t multitask – it single task switches. So when it has too many thoughts and things to remember, it gets tired and our planning, reasoning and self-control all suffer. 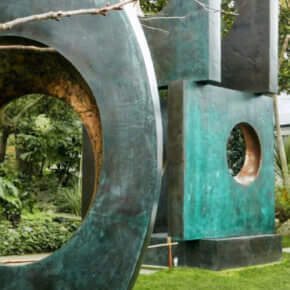 By changing your task and focusing your mind on a new set of problems, in our case painting, the tired parts of your mind become rested by using this new subject of interest. Your mind doesn’t just switch off into a Zen-like state, it’s working hard to solve the problems of your painting, giving all of your other worries time to take a back seat, opening up space for clarity and a new perspective when returning to them later in the day. “Painting came to my rescue in a most trying time. I know of nothing which, without exhausting the body, more entirely absorbs the mind. Whatever the worries of the hour or the threats of the future, once the picture has begun to flow along, there is no room for them in the mental screen. Sir Winston Churchill, Painting as a Pastime, 1948. Churchill wrote with real enthusiasm about the joy of painting and how it became an important method of rejuvenation, keeping his mind keenly focused. 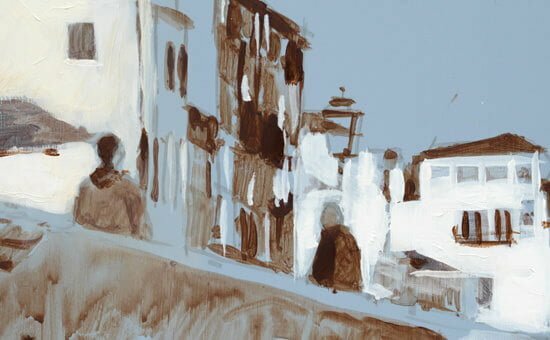 So if you’re feeling inspired to experience some of these benefits yourself, I thought I’d share with you my painting practice from today, a little colour sketch inspired by my trip to Venice. When artists talk about their work, they often refer to it as their painting practice, just like yoga, meditation or mindfulness. Thinking of it in this way encourages you to do just that – regular personal practice. Making the shift from the pressure of creating a finished piece to embracing the power of practice, encourages small studies, simple line sketches and the absorbing ritual of just mixing colours. What really matters is the actual doing. 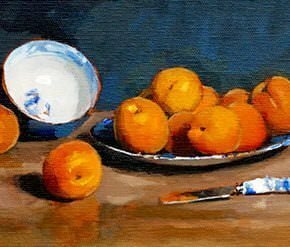 Reviewing photos can be a useful exercise especially when the weather is too cold to sit outside and sketch, or there isn’t a still life set-up in your studio space and it gives an achievable subject matter. It’s also a great way to practice your composition by looking for a pleasing balance of light and shadow and there were 3 contenders from within the wider view above. I find it useful to create a set of guidelines for a mini-project before you begin. 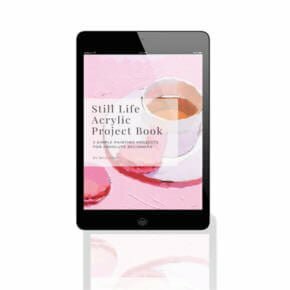 This will help you make quick decisions on what you’re going to paint that day, keeping you on track resulting in the momentum of creating more studies throughout the year. Starting with too vast a subject matter will send you down a rabbit hole of new decision-making problems, which will tire out your prefrontal cortex, and the idea of having a brew and a biscuit will become much more appealing! ‘I want to paint Venice’ is not specific enough. Now I was off to the races, this changed my thought process into the ‘next easy step’ with a clearly defined path. 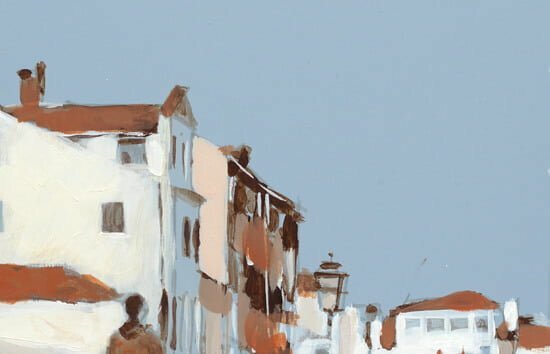 In the first crop of my Venice scene, the archways had nice dark and light contrast which appealed to me and would make a great high contrast sketch, but my warm white wouldn’t get a look in so I moved on to my second crop. In this, the man checking his watch in the window reminded me of some of Vermeer’s street scenes of Delft, which I really liked. It had a nice bridge arch and elements of the warm white but there wasn’t a wide enough range from warm white to cool white – so onto crop 3. I decided on the third crop, as it had more focus towards the row of buildings within the centre of the composition. The white edge of the Basilica on the right-hand side helps to frame the image and the range of warmer hues and tones are quite close together, so I’ll be able to achieve a lot of the colours just with a couple of pigments. I’d wanted to experiment using my new purchase of Titan Buff Light from New Masters Acrylics from Old Holland. 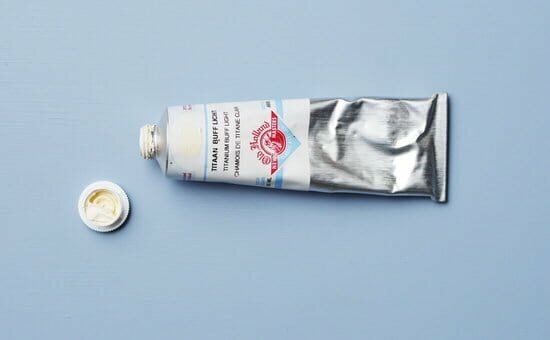 You can make your own by mixing Titanium White and Yellow Oxide, but this pre-mixed tube is a convenient way of working with a warmer white, handy when painting white stone and buildings that are slightly warmed by the sun. I had a pre-prepared 8 x 10-inch board that had been primed with a muted pale blue in my studio, the ground colour was a mix of Ultramarine Blue, Titanium White and a little Burnt Umber to mute down the blue. I’m diluting the paint with water so I get this watery wash effect. Varying the consistency of the paint depending on the lightness or darkness of the tones. The faces the buildings are now easier to judge because of the warm shadows that have been painted in, so I can now introduce the warm Titan Buff Light. Again, just using water, I then dilute the paint slightly and block in using a small flat edged synthetic brush. As the light is brighter on the buildings on the right, I mix in more Titanium White to lift the value and cool the mix. Now I add some of the Titanium White in with the Burnt Umber, this gives us a warm muted brown that can block-in the base for the buildings. I glaze some watery Burnt Umber over the Titanium White, this creates an optical mix onto the paint surface. You can see how the water separates on the black duck tape. 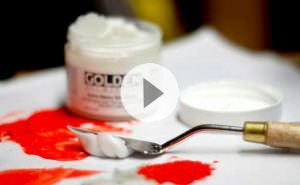 To add some more saturation into the warms, I introduce a Light Red from Winsor & Newton. This can be glazed over to warm up the buildings, and then mixed with the Titan Buff Light for more solid areas of the orange. Here’s the finished, sketch, is it perfect? No, but there are some areas I really like and my favourite part? This little area of the doorway. For me it’s got a nice balance of optical mixing with the Burnt Umber glaze at the top, the saturation of the solid Light Red at the bottom and I like the way the post on the right has been subtly ‘outlined’ by the blue ground. President Eisenhower sometimes quipped that he was able to devote more time to painting during his tenure in the White House than afterwards because his time was so efficiently scheduled. So if you’ve been putting off creative projects because your mind is busy racing with other things, try and block out 30-45 minutes practice time a week and enjoy the benefits of a refreshed outlook. Will, you always inspire me! Just when I never seem to have time to sit down and set everything up to paint, an email arrives from you and I know I must stop and find space and time to create. Thanks for reminding me, love hearing from you. My pleasure Susan, so pleased you enjoyed it and are feeling inspired! Thank you so much, Will, a most detailed example of your process through this piece. I continue to thrive on the shared work of so many artists on line… wonderful for me as this Essex girl lives in Mexico. I also enjoy watching Put Colour in Your World from Australia and talented artists from Germany. Thanks Robina, glad you liked it. Thanks again, Will,for your encouraging words on keeping working at our art for the joy and relaxation that it brings. I have a picture of Quebec City quite similar and cannot wait to use the unique way that you handled that particular subject on my 10 x 12. Good one Anthony, hope the Quebec City piece works out well. Thanks Howard, hope they find it helpful. I am just putting the finishing touches to your Padstow Harbour scene, and have, for the last couple of days been looking back on my holiday photo’s taken around europe for my next painting. This latest lesson will, I hope, prove invaluable in helping me choose and complete a unique painting. Hey Alan, hope you enjoyed the Padstow painting! 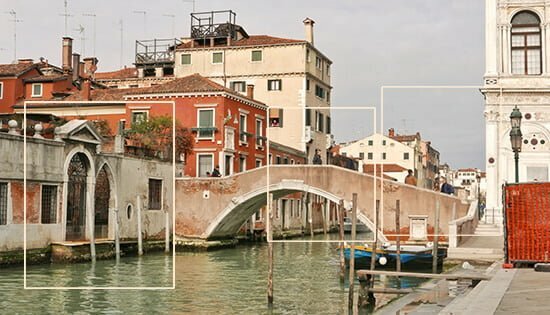 yes, getting into the specifics can really help with making the next choice in the subject matter when faced with a range of photos. Here’s to your next piece! Loved the paint suggestions. Mostly love your humor.You really inspire me to paint. I can feel some kind of energy trying to materialize out of my hands. Now I have guidance to stop procrastinating. Thanks very much Breeze, that’s very kind of you to say so. I really enjoy looking at your work and the advice you give. 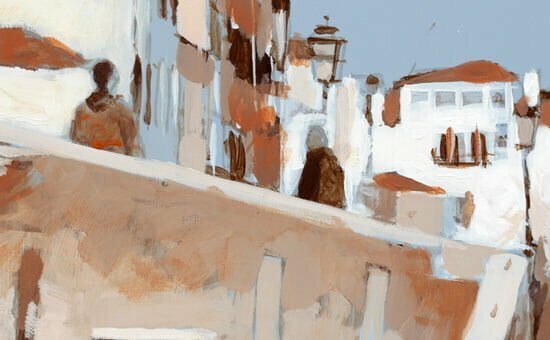 Gorgeous effect of those colours in the Venetian scene.I learnt a lot from this as in the past I have tried to paint a whole scene instead of looking for the more interesting snapshots within it. I have just looked at the the Cezanne Studio trip and love your sense of humour (although I think you had a very lucky escape!) as well as the facinating story of Cezanne. My favourite painter is Sorolla and his studio in Madrid is also well worth a visit. Hi Jennifer, really pleased you enjoyed the paintings and the Cezanne, trip. Sorolla does some fab work doesn’t he, thanks for the tip on his studio in Madrid. Aww I loved that demo, and I think the finished painting is perfect! Gorgeous. Thanks very much Jenny, glad you enjoyed it. I have been following your site for a few months now. I managed to paint the cherry and started on the apple. Your comments resonate with me because I fit right into that scenario of being “too busy” to make time for this “hobby”. I travel almost every week and live in condo , so not much space, but again I am making excuses. I bought a wet palate and some new paints and brushes that are now sitting idle. Your idea to make just 45 minutes a week is great. Everyone can work that out. Your faithful follower and student. Hi Jean, really pleased you’ve been enjoying the videos and so pleased you resonated with the article. Good luck with your next 45-minute painting session! This was such a helpful read. 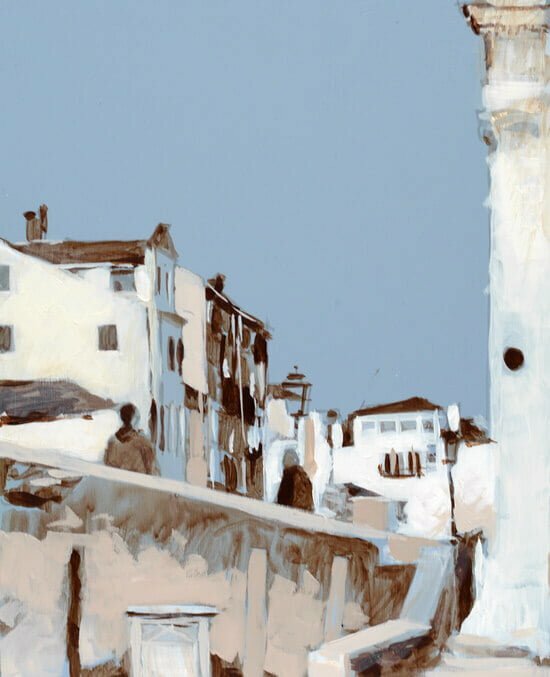 Too often I find myself put off by lack of extended lengths of time to do some painting, so your helpful idea about cropping into images to find enough for a quick (ish) practice piece was great – thank you you so much! Good one Jackie, hope it helps for finding new inspiration from old ideas! Thank you! Sooo needed to read this today. We are surrounded by glorious mountains that I can hardly wait to paint. Sounds bliss Sheila, have a great day painting. Thanks for sharing your work and inspiring to keep on going…. My pleasure Promila, glad you enjoyed it. I could just listen and watch you paint all day long! I had purchased your floral still life class months ago and all the supplies needed but have yet to start it, I’m feeling INSPIRED to do so now! Thanks Will, I look forward to all your posts! That’s very kind of you to say so Ricky, glad you’re feeling inspired with the floral piece. Keep the faith when mixing those green leaves, it will be a concentration, but the results I’ve been seeing from students from the course have been fab. Thanks so much for this! Good reminders and new insights to ponder. I always appreciate your posts. Beautiful and helpful! Thanks, Will! You are so good and I love the way you instruct. I hope your beer turns out. Hey Ali, what a coincidence! hope you’re doing well. Hi Peter, thanks very much, glad you’ve been finding the lessons of interest. Love your articles and look forward to each and everyone. They say we are never to old to learn. I am 92 and still love to paint. Thank you, Will, for your inspirational articles. Wow, what an inspiration you are Audrey! so pleased you enjoyed it. Thank you , loved this article , fits my lack of habit painting and reminds me to do it ,awesome little painting ,going soon to finish a much larger one ! Good one Kim, glad you’re feeling fired up! Always good to be reminded of the ‘obvious’, which is easily forgotten in the marlstrom of every day life. Thank you ‘ – i hope the beer is tasty! Cheers Charlotte, pleased you enjoyed it, yes, do hope my fermentation skills are up to scratch! Exactly what I needed to hear. Thanks, Will. Thank you! This was just what I needed today! With all the busy lives we lead…sometimes you do need to stop and paint (or create) something! I must make time….and like you said…even 1/2 hour a day! It will be so worth it! Really glad you enjoyed it Pam, yes, even 30 minutes can make a really big difference. You’re always so generous to share your idea, good to have you guide and encourage . Very interesting & inspiring….. Beautiful work. Keith. Cheers Keith, glad you enjoyed it. ‘Painting as a Pastime’ is the book that finally pushed me over the painting edge and prompted me to find a bit of space, and not worry about making a mess! I doubt I’ll become a fine painter, I’ll satisfy curiosity and have some great fun. Thanks for blending the practical with the philosophical. Good to hear it Sandra, really pleased you enjoyed the article. Will, I always appreciate your emails, but this one was particularly timely for me. The concept of practicing yoga was a familiar one to me, but I had not realized that the practice of painting was analogous. Now I know why painting is beneficial to my mood. Many thanks for the encouragement to paint more! My pleasure Austine, really pleased it was timely for you and gave a new insight to your painting practice. Enjoy the marker Jack, it can work well for quickly establishing an underdrawing and with the chisel tip, you can block in masses of grey. Hi Will. Is that the 2 or 15 mm marker? I’m fairly certain it is the 2 mm, but thought I would ask first before placing my order. Many thanks for sharing. Venice, how beautiful. Will save this art lesson to reread etc. How true about letting other things take preference. I do have an idea for my next oil painting, but fractured a rib doing something stupid and now the holidays are coming. See how that goes. I can get lost in doing a painting but don’t want to start then have it set aside and dry some on me. Will set time aside to sketch which I need to get back doing. My paining that I just finished (dog, Commander) was first painting I have done for quite a long time. Best on your beer and enjoy. Thanks Kathleen, hope the ribs are on the mend and yes, working on sketches and more developed paintings can be a great way of keeping your practice fresh. AS ALWAYS SO ENJOYABLE AND INFORMATIVE LESSON. NOW, WHERE ARE THE TEA AND BISCUITS? Thanks, Will, for another inspiring travelogue + drawing/painting tips. 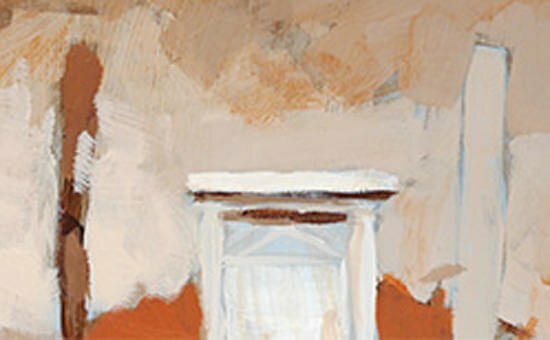 There’s something in your easy-going approach to the sometimes challenging act of painting that appeals to me and urges me on. You could probably teach brain surgery… if you were so inclined. Really pleased you find the teaching style suits Ed, glad you enjoyed it. Fantastic ‘Words of Wisdom’. Every word and every example is so true. My life is a perfect example of the “I don’t have time, space, concentration . . . to paint or draw”. So, here I am, just days from retirement and will have all the time in the world to paint and draw. As I waited for the perfect time, I lost so much of any time. I fully support what is said here and DON’T wait. Paint, draw, paint, draw, and paint some more. Thanks Michael, I couldn’t have said it better myself! Many thanks Will for sharing your knowledge. It’s fantastic. Hugs back at you Carmene. Too often I find myself with a strong urge to paint, but by the time I clear a few hours to devote to painting, then decide WHAT to paint, and what size canvas to use, and what color to use as the undercoat, etc., etc., I am so put off and mentally exhausted by all the decisions that I just give up and go do something else. Then I feel guilty for not following through. So your suggestions to just DO it, even for short bursts of time, is inspiring. I WILL, and thank you for the figurative kick in the pants! Good on you Beverly, glad you’re feeling inspired to do! Thank’s so much for another awesome lesson. Regards Gordon. You’re more than welcome Gordon. Sounds like the perfect ratio of biscuits to painting Jan! really pleased you’ve been enjoying the apple tutorial. Thank you for keeping me motivated and inspired, Will. Thank you again Will for another inspiration fix. My husband takes amazing photographs on our travels and I have never really thought about painting a smaller section rather than tackling the whole thing. I’m definitely going to use these ideas! 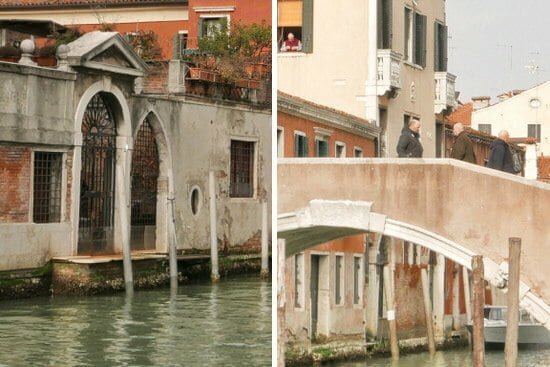 Whilst I’m here I also wanted to say that I am so so enjoying your Venice Impressionisitic course, which I bought as soon as you released it and have only just got around to doing it. This was not because of procrastination, although it did take some time to gather all the necessary materials, but because I have been busy working on lots of other pictures and wanted to wait until I could allow myself the luxury of concentrating completely on it. The course is wonderful and I’m learning a lot – many many thanks! 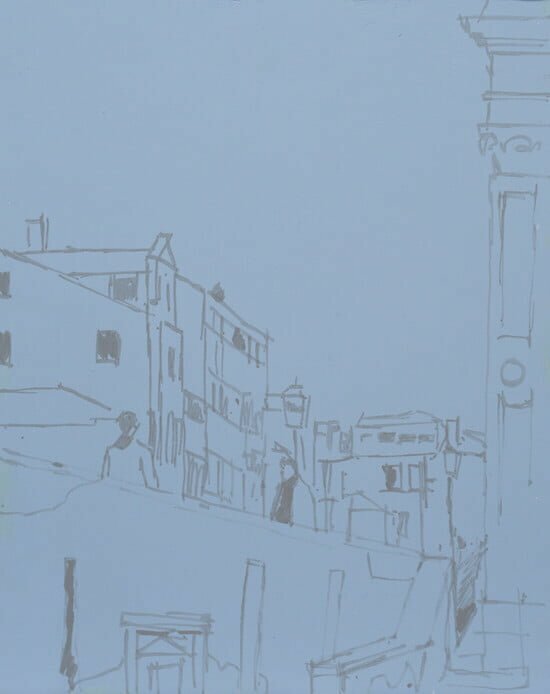 Hi Julie, so pleased the tips of cropping into photos has helped and glad you’ve been enjoying the challenge of the larger scale Venice painting. This was a fantastic share and tutorial Will! I really appreciated the discourse on how our prefrontal cortex works and how to take advantage of the organic system we possess that makes it possible for us to imagine, create, and achieve. Einstein said the imagination is a preview of coming attractions, and this feeds right into how our RAS (Recticular Activating System) works to allow us to essentially turn the things of our dreams/imagination into a manifest reality. Very exciting and informative; fascinating to think of the possibilities! 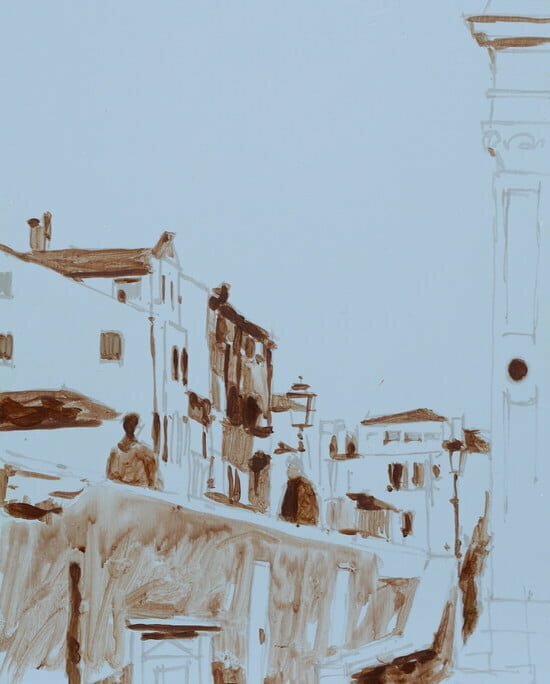 Thank you so much for this share Will, and of course, the Venice sketch painting is GREAT! Glad it was of interest Robyn! I almost like your writing more than your painting. Almost. I appreciate the explanation regarding the prefrontal cortex and tea and biscuits. After I read one of your write ups I feel so encouraged to paint more. Thank you for taking the time to do this and for sharing! Ha, ha, you’re very kind Celina, and fantastic to hear you’re feeling inspired! Another great offering from the pen and the brush of Mr Kemp…. A talented writer and inspiring painter. Thanks it brightened a dull day! That’s very kind of you Sandy, hope you’re doing well. Thanks for the inspiration, do you always prime your paintings and why? I like the painterly strokes. You give the feel and the content but it is not an exact representation. That is the feel I want to achieve. How do I achieve that? 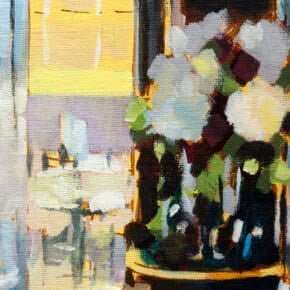 and see a video demo here: The benefits of a tonal ground It helps to create a colour mood to your piece, judge colours more accurately and utilize optical colour mixing effects. Thank you, Will! Just as I needed! Now that i have the time, i am 86 yo, and paint with a group of artists, of which i am usually the only man, and find great enjoyment in the challenge, criticism, suggestion and compliments from my fellow artists. I have learned so much from them and your good self where i frequently refer to your tutorials on various aspects for which i thank you most sincerely. I have no trouble keeping the chicks in check!! Well great to hear they’ve been of help David, and so pleased to hear you’re still creating (and learning) at 86! Thank you Will, you are ever inspiring, I am always happy to see an email from you. My copy of your apple and the Constable lighthouse (in my kitchen) are always a reminder of the joy of painting and your invaluable lessons. I must now attempt the bridge at Ronda. cheers! Hi Leslie, nice to hear from you and glad you enjoyed the Constable study, so pleased you enjoyed the article. the article and the demonstration are inspiring. This has inspired me to get going even more so now that I have seen what you can show me to do more i’m looking forward to it, thanks Will. Fantastic Will. Thank you for this inspiring article. I will defenately apply uR suggestions these days while traveling in the old places in the Middle East. What an inspirational landscape Agnieszka, enjoy your travels. I love getting your email. You are an inspiration to me as i am quite lazy sometimes and you make me get on with it. Please dont stop sending mail. Glad you’ve been enjoying them Frances. Good one Julie, so pleased you’ve been experiencing the benefits of painting within your own busy design practice, thanks for sharing. You are so right, I have a beautifull garden in Mallorca but love to Paint. Always the painting comes last but it is so good for one! I have just finished your Provence Monet, trying to do mediterranean colours, now I am doing your floral still life but in oils. What do I use for the glazing liquid, I have some retouching varnish would that do? I find the idea of tonal values dificult but then I thought having done a lot of flower wáter colours in the past that one does it naturaly to get the depth of the flower heads etc.? So pleased you found the painting process therapeutic Julie and are enjoying using black paint! More and more you give us a fantastic lesson. 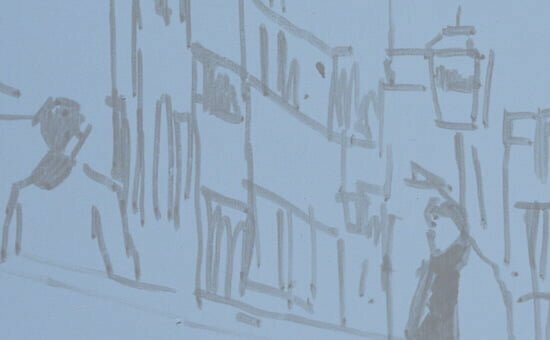 Sorry if I’m being a boring guy, but I’d really like you to do some more lessons on pen sketching skills like your “Urban Sketch of a Bike for Beginners” tutorial. Not boring at all Ademir, really pleased you enjoyed the Urban Sketching lesson. now your news has come at the most appropriate time and I will start tomorrow, donot .have to worry about using a colour chart as you made it all so clear. Really pleased you enjoyed it Andy, glad it was timely for your piece. Thank you Will for this inspiring article. I like the way you detailed the process. I also appreciate all the ways you are encouraging us in our journey of painting. I’m currently working on the new Still Life video you just released. It’s a joy to watch videos and paint along with your instruction. Thank you! So pleased you’re enjoying the latest course Gail, hope your peonies are coming together nicely! Thank you for another inspiring article! Very interesting information regarding the prefrontal cortex. No wonder I start to get twitchy when I haven’t painted in a while! And I really appreciate seeing the way you have broken down your reference photograph to create your landscape painting. I live in a beautiful area of the world though I struggle to find landscape scenes as I try to fit too much into the composition. I’m going to try to simplify things a little and focus on more concentrated areas next time I paint a landscape. Again, thanks for a great read. Haha, pleased it was of interest Rebecca, yes it can be really handy o simplify first, you can always build out the composition once you get a feel for the piece. As always, your tutorials are the best. You really do inspire my desire to paint and make it so enjoyable. Thank You! Is there any chance you will be doing a “how to paint the sea” and or clouds tutorial in the future? As these are two subjects that always stump me and I’d love to have your guidance. 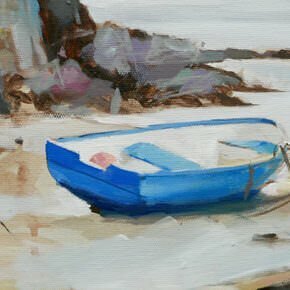 You’re very kind to say so Rebecca, I haven’t got any cloud or sea specific tutorials, but you might find the Cornish harbour scene of interest in terms of colour palette used. ” Passionnant ! “, as usual…. Thanks for all these ways of create, while having fun ! This is such a helpful breakdown. I enjoy your insights and lessons so much. 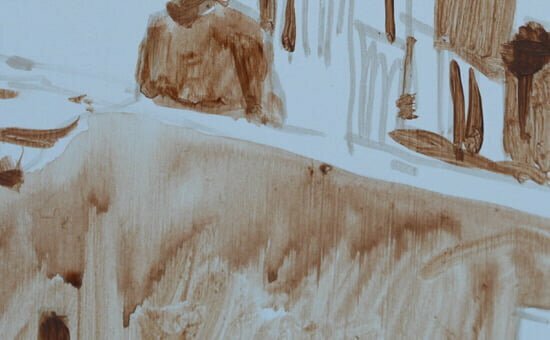 I’d love to see a tutorial on abstract painting or drawing. Whether it’s how to abstract something from real life, like a landscape, photograph, or still life, or how to make a work based purely from the imagination, I’d be so interested to see how you’d approach it. Thanks for all you do. You’re helping so many people! Glad you enjoyed it Melissa, and good to know an Abstract lesson would be of interest. Will, I started painting at the age of 66, which is a little over 2 years ago.I have been painting fabric for years now.I’m so busy, lately, I keep saying later…however your words has inspire, and I will start back as from tomorrow.Thank you so much. Good on you Jamila, yes, your words ‘I’m so busy, lately, I keep saying later…‘ can be so true, fantastic to hear you’ve been inspired! What an inspiring article especially the Churchill quote. I will be trying out your suggestions. Your flower painting course which I recently followed was very enjoyable, taught me a lot and I am now busy painting other flowers after a trip to Wisley. Hi Janet, really pleased you’ve been enjoying the floral course, and brilliant that you’ve been taking the lessons you’ve learnt from the course and applying to your own studies, fantastic! What a lovely comment to get Anne, you did a fantastic job on the floral painting, good luck with your pink peonies! You are so right about making time! been meaning to paint a portrait of my dogs —today’s the day I start. Thank you Will, I love your tutorials . Thanks Ann, good luck with your portrait! This was a great lesson…lots of great tips. Cheers Terry, glad you enjoyed it. Life gets in the way sometimes. Good to know that the same happens to professional painters also. I know if I painting daily, there is a flow that happens and I enter the painting so to speak and I want to continue with it like a friendship. Stop the connection and it becomes more difficult to reconnect. I’m there. 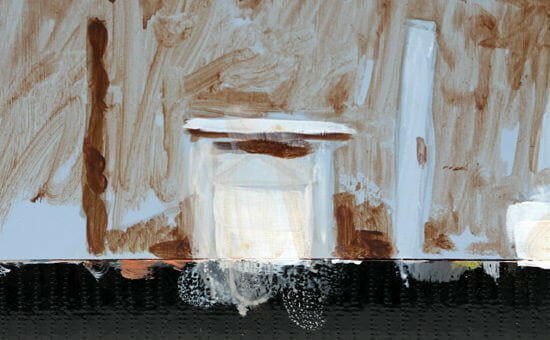 Struggling to reconnect with my paint. Glad you enjoyed the article Cindy, and hope you’re feeling inspired to reconnect with your own paintings. Will, helpful advice. Most days I spend some time painting but lately for various reasons, have not felt motivated to pick up a paint brush. After reading your article, I feel I need painting more than ever….to get lost in the moment so that i may find my way back. Really pleased you found it helpful Melba and are feeling inspired! Really enjoyed this Will. Loved your tips on cropping and limiting oneself for size and palette. Very inspiring and has motivated me to just get started! Great to hear it Giovanna, so pleased you found it helpful. All of the comments on your tutorial above I agree with and was inspired to get into my studio and stop finding excuses! Once set up I was still having a problem deciding on a subject and picked up a photo with a simple forest scene. As my brush hovered over the blank canvas I then decided to turn the photo upside down and ‘bingo’ I began to look at the shapes and colours rather than the subject and finished the painting in an hour, turned it round and was really surprised how good it looked. I then did another!! With very many thanks Will. What a stroke of inspiration Jacqueline! so pleased it helped to kick-start your forest scene paintings. Hope your beer has turned out well. I really enjoy your articles. 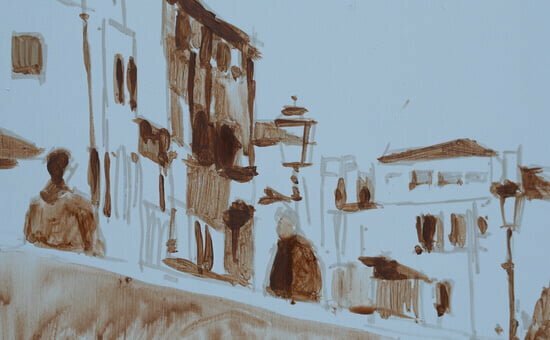 I used your Venice painting to do my own sketch but using water mixable oils. It turned out well but I used a titanium buff, Cobra brand, by Royal Talens sold here in North America. I think it was quite a bit darker than the acrylic one you were using Keep up the good work. I agree–always inspiring your readers! How do you know when your finished with a painting? Thanks Michael, I usually know it’s finished when I want to keep the painting for myself! As usual Will, you are spot-on with this one. Now if we just substitute the biscuits for the white chocolate & raspberry scones my local bakery makes, I’m right there with you. Also, I kind of like the close-up shot as the finished work. I know that’s not how you painted it, but I find it more interesting visually. It then becomes more about the people in the scene, as opposed to people just being in the scene. They sound epic scones Jamie! good one. Your insight and generosity never fail to bring me joy – and that’s before I even think about doing any painting! Well that’s very kind of you to say so Kate, pleased you enjoyed it. Hi Will, a big big thank you for really taking the time to write such great articles. It’s really inspirational. Having a 2 year old and a seven year old running around the house keeps me on my toes for the most part of the day. However, it’s so refreshing to receive an email from you with such valuable insight. It really helps me put everything into perspective and start painting away. Thank you for your generosity in sharing. My pleasure Tash, really pleased you enjoyed the article! How true your article, I go out and paint with a group of artists every tuesday here in Mallorca which helps keep me painting! I use oils and really like the idea of glazing. Please could you tell me what type of varnish should I use. I am also trying to get some Gamsol, there does not seem to be anything like it here. Thank you so much for all your interesting information. Hi Joanna, Gamsol gives the most flexibility I know of for oils because it’s the only varnish I’ve come across that can be applied when the oil paint is touch dry. If you can’t track any down in Mallorca you can still use a more traditional oil varnish, you would just have to wait for a few months for the oil to have cured more through oxidation. Thanks very much Valerie, so pleased you enjoyed it. There wasn’t ever a video accompanying this particular lesson, just the step-by-step images. Will, you really are good at these motivational pieces! I’d hit a little bit of a ‘block’ with my own painting (early stages, but with the aid of a few of your courses I’m starting to develop a feel for using acrylics). This blog post has got me incentivised to set aside an hour or so and just paint. It’s also good to see how you use photographs you’ve taken, selecting one small area for your subject matter. You’re too kind Simon, really glad you enjoyed it and so pleased you’re feeling inspired! Will, I loved your painting and the beautiful colors in it. The only thing is you didn’t seem to paint the sky……..? Hi Suzie, I painted the sky by choosing the initial background colour. If you have a range of prepared canvases it can work really well to quickly capture a sense of mood or feeling in your paintings. Thanks for another wonderful lesson. I love receiving your emails and find them inspirational and informative. I have so many ideas for artwork I want to do for my home. At the moment I am loving abstracts and want to try painting them with heavy body acrylic colours and a palette knife to give a raised texture. I wondered if you have any suggestions as to the best way to do this? Good luck with your beer. I enjoy a really cold apple cider and in Australia where I live there are a many to choose from. I smiled when you spoke about a brew and biscuits. They are still one of life’ s little pleasures. That’s lovely to hear Jane, pleased you’ve been enjoying the emails. 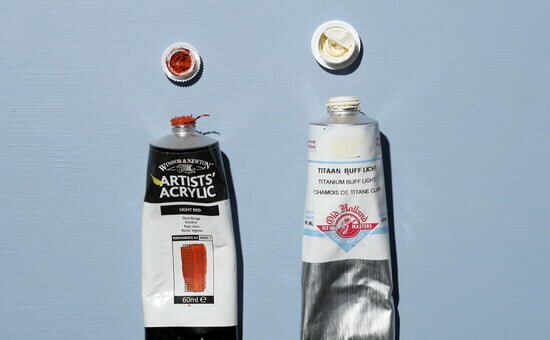 For thicker impasto, you can experiment with adding heavy gel into your paint that will hold in peaks and shapes more easily than paint on its own. Have a great Christmas! Painting is cheap therapy and way better. Thank you for this post and a good reminder for me to pick up my things and paint a little each day. It is so refreshing and Churchill was right it keeps away the black dog. Ha, ha, cheers Jackie! glad you enjoyed it. That’s great to hear Katerina, really pleased you’ve been enjoying the articles. Just discovered your voluminous and wonderful web presence, and I have a question without an obvious destination in your body of articles … so I’m putting it here. I’m in the U.S., but love Europe for painting/painting references. 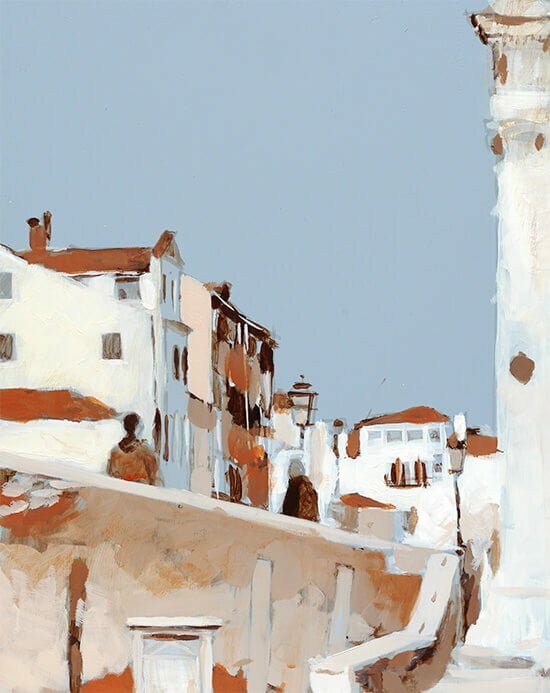 In the past I’ve traveled with painters doing workshops mainly to have artist companions, but not for instruction since most were plein air courses and not my thing. I do large canvas narrative/figurative, dark humor, imagined things, usually acrylic. Can you recommend any international workshop/retreat opportunities? Some technical instruction wouldn’t hurt me at all, as long as I don’t have to paint trees, mountains or streams from life. Hi Blair, pleased you’ve been enjoying the site. If you’re looking for more classical teaching if you look for painting ateliers in the country you’re looking to visit you’ll often find summer schools or short courses that offer group painting tuition. Thank you so much for sharing – very inspiring! Cheers Michelle, pleased you enjoyed it.